One of the greatest challenges facing today’s online retailers is accurate pricing. In fact, it’s such a business-critical activity that getting it right – provided the data and pricing are accurate – is more than likely to result in an increase in sales and ultimately profits. Get it wrong and you jeopardise your brand’s future sustainability. 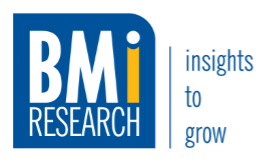 BMi Research and global price management company, BlackCurve, recently announced a partnership that will combine best practice in pricing management with price trend expertise to offer client’s a holistic pricing solution. BlackCurve is a software system that allows for the uploading of sales and pricing data via Excel or CSV. It uses machine learning, advanced mathematics and an excellent user interface (UI) to make for easy, fast and profitable pricing, finding the ideal price for every product. Cloud based, the software offers a live feed that allows for pricing to be set in advance, which means the system can be operated remotely and pricing set in advance, with all changes being automated. The ability to have accurate competitive pricing data at hand is one challenge, while having a single price management platform through which to effectively execute the company price strategy is quite another, he adds. In a business environment where 88% of online retailers have indicated the increased importance of pricing, BlackCurve allows brand owners to determine the optimum selling price for all products by analysing competitor pricing, ensuring that they neither under, nor over-sell, ultimately improving sales and margins. Pricing is often a laborious and complex process, which impacts sales. As an automatic software system, BlackCurve eliminates time consuming manual processes which use significant resources and are susceptible to human error. BlackCurve’s leading edge software technology allows for continuous monitoring and price changes that can be made in real time, replacing manual processes where the majority of pricing is not optimal, resulting in loss of revenue and margins. The system takes data such as inventory, products and costs and applies rules that align to business objectives including desired margin, website performance, price elasticity, commercial plan, competitor position and stock levels to create real time, automated price optimisation. Multi-channel pricing is key to most pricing strategies. BlackCurve applies pricing strategies to every channel used by clients – from websites to market places and geographic regions. Moreover, products are priced intelligently, which assists client to find the right price using pricing rules which align to their particular business objectives. Private labels are managed using private label pricing rules to create a better pricing position, in the process maximising returns. In addition, retailers can make use of BlackCurve to maximise entire ranges of products at optimal prices, instead of merely their key lines. International customers already using BlackCurve include Appliance House, Clever Boxes, Electrical World, Merck, Ribble and Little Blue Van Logistics, amongst others. Various South African sectors will be targeted including apparel, grocery, pharmacies, outdoor and camping, high tech and other online offerings including manufacturers and distributors of Consumer Packaged Goods (CPG). 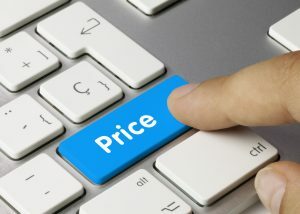 “Automating price processes offers the added advantage of saving time by freeing staff from spending their valuable hours doing manual pricing each week,” reveals Philip Huthwaite, BlackCurve founder and CEO, adding that BlackCurve looks forward to bringing its price management optimisation technology to the South African market, and is delighted to have BMi Research exclusively represent it. “There is no doubt that smarter pricing will help drive the revenue and profitability of their customers,” he concludes.